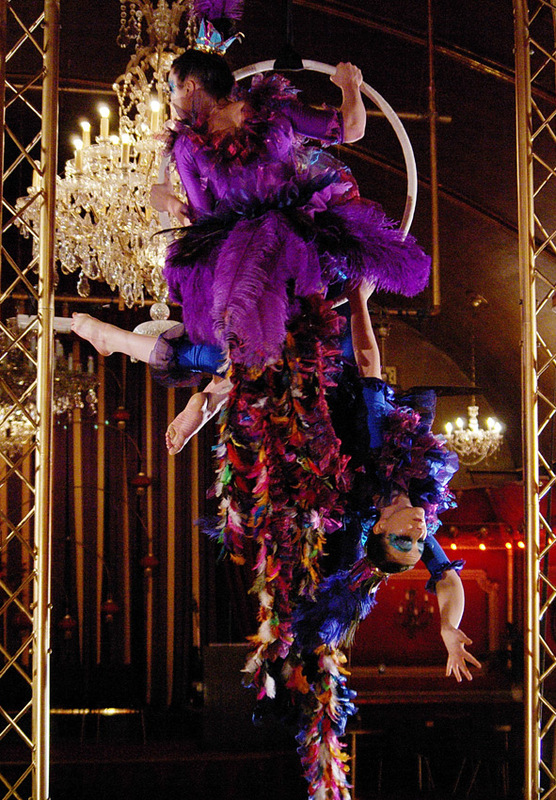 World of Coco was formed in 2003 with backgrounds in traditional and contemporary circus. They aim to provide captivating performance using a fusion of circus and theatre through a number of different performances, hula-hooping being just one! Can Princess Leia escape from the evil clutches of the dark side? In this 7 min comedy hula hoop act Leia discovers her hidden talents for multi hoop spinning in her quest to defeat the dark Lord himself, Darth Vader. An amusing and highly skilled interpretation of Star Wars with a specially designed soundtrack. Also available as a walkabout character. Inspired by the era of the original invention of hula hoops, the 1950’s. 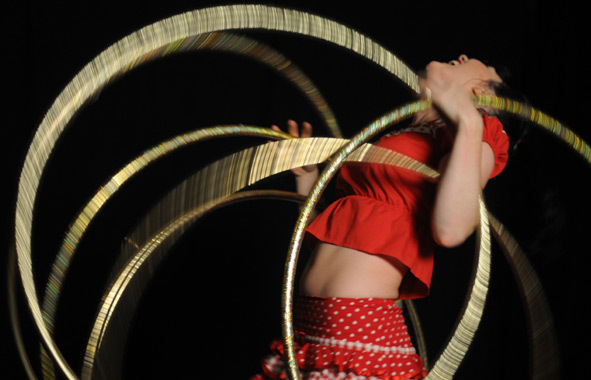 This act of highly skilled hoop manipulation is performed with panache in a 50’s pin up style. Also available as walkabout character. The performer creates a whirl of fringes from her costumes and hoops as she wows audience members and passers by. Reminiscent of a decadent age gone by. Available as an act or walkabout character. 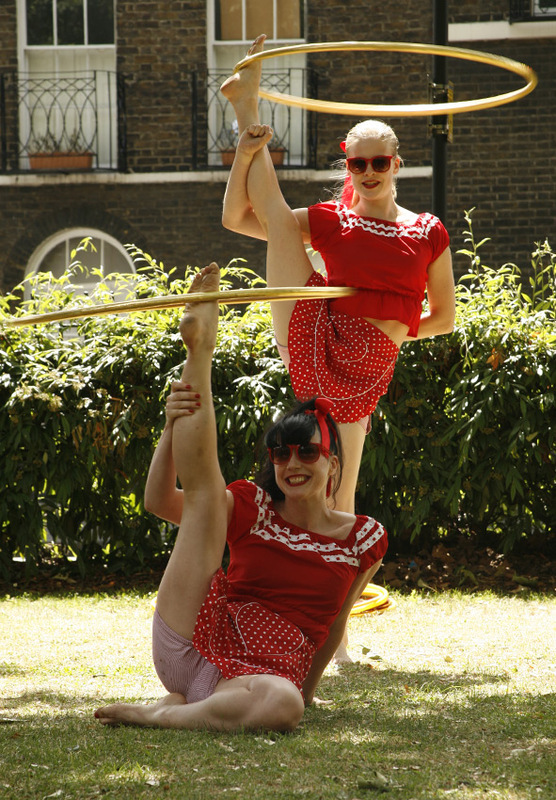 A fun and energetic duo hula hoop act! Circus, burlesque style! 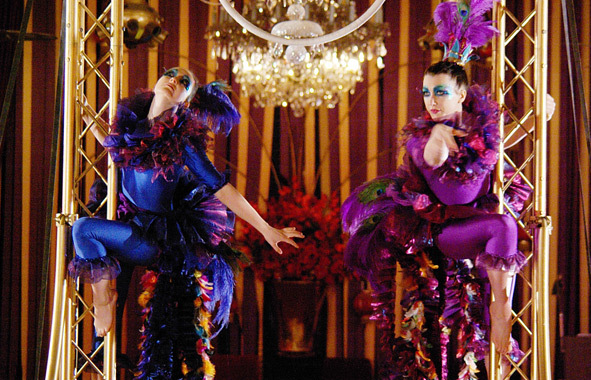 The Showgirls is a burlesque themed act in beautiful gold costumes and matching gold hoops! Available as an act or walkabout characters. 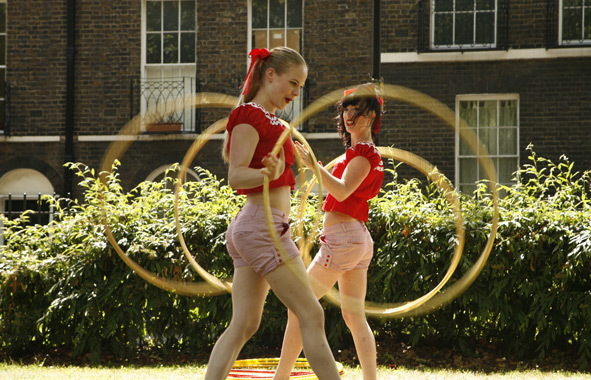 You can become a hula hoopin’ hepcat! The girls have found that doing the hula is not only amazing fun, it’s also fab for the abs! They provide the music, professional hoops and expert tuition, all you need to do is shake those hips, then you’ll be laughing. You won’t believe all the amazing tricks you can learn with a hula hoop. The event went exceptionally well and the client was extremely pleased with the hula hooping. Apparently it drew a great deal of attention and generally went down a storm! They thought the act itself was amazing and the contortionist movements that were incorporated made it completely relevant as well as crowd-pleasing. Thank you again for all your help with this. The quality of performers was excellent and they were all very helpful and co-operative given the atrocious weather we had on occasion. Everyone turned up on time and were lovely. They were all brilliant, we had such fun with them, they fitted into the wonderful world of Hamleys so well!